ARLINGTON, VA – September 15, 2016 – In honor of Hispanic Heritage Month, PBS today announced programs that commemorate the experiences, culture and contributions of Hispanic Americans to the United States. Highlights of this year’s lineup include the previously announced October 21 premiere of HAMILTON’S AMERICA from GREAT PERFORMANCES featuring Lin-Manuel Miranda—who also hosts the PBS Arts Fall Festival—and the 29th annual HISPANIC HERITAGE AWARDS, highlighting the country’s highest tribute to Latinos by Latinos. The program will feature top Latino performers and personalities paying tribute to the honorees, who this year include Supreme Court Justice Sonia Sotomayor, author Junot Díaz and actress and singer Angelica Maria, among others. The program airs Friday, September 30, 2016 at 10:00 p.m. ET. On October 3, PBS presents WILLIE VELASQUEZ: YOUR VOTE IS YOUR VOICE, a documentary about the charismatic pioneering activist whose rallying cry, “su voto es su voz” (your vote is your voice), started a grassroots movement that transformed the nation’s political landscape and paved the way for the growing power of the Latino vote. 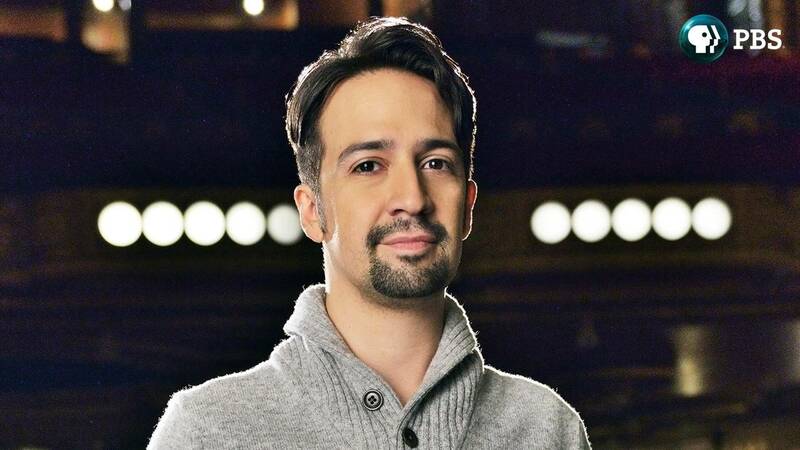 Megastar Lin-Manuel Miranda, the Tony and Grammy-winning creator of the Broadway phenomenon Hamilton, is both the host of the sixth season of the PBS ARTS FALL FESTIVAL and the featured performer in the first festival presentation, HAMILTON’S AMERICA from GREAT PERFORMANCES. The film looks at the creative process during the three years leading up to the Broadway opening of the record-breaking musical, winner of 11 Tony Awards and the Pulitzer Prize. HAMILTON’S AMERICA airs Friday, October 21. The eighth season of ART IN THE TWENTY-FIRST CENTURY, which features exceptional artists working in important hubs of contemporary art today, travels to Mexico City on September 16. Executive produced by Eve Moros Ortega, the program provides unparalleled access to four innovative artists, revealing how they engage with the places where they live and work and how art allows viewers to see the world in new ways. PBS.org features a Hispanic Heritage Month Online Collection to connect viewers to new programs and to films and digital features that remain on the site year-round, highlighting the stories, people, history and culture of Hispanic Americans. Here, viewers can also watch Latino Public Broadcasting’s (LPB) “GoldStar” – People’s Choice winner of the PBS Online Film Festival and other LPB shows available for online viewing. During September, viewers and fans can follow #MiHistoria to join in the celebration of Latino culture by contributing memories, photos and videos via their favorite social networks. Each week a new theme will invite viewers to celebrate the people, ideas, and moments in Latino history that are important to them. All memories using the hashtag #MiHistoria (and tag @PBS) will be aggregated onto PBS.org and shared across PBS platforms to help celebrate Hispanic Heritage Month. Working closely with Latino Public Broadcasting, WORLD Channel and partners from American Documentary, the campaign aspires to educate and excite audiences about Latino identity and culture, and connects them to relevant programs in public media. This fall, PBS KIDS will unveil a Spanish language option for both the PBS KIDS ScratchJr and Ready Jet Go! Space Explorer apps, allowing users to toggle between English and Spanish within the app experience. Developed in collaboration with the MIT Media Lab and Tufts University’s DevTech Research Group PBS KIDS, ScratchJr helps children ages 5-8 learn core coding concepts as they create their own interactive stories and games using PBS KIDS characters. The Ready Jet Go! Space Explorer app, based on the popular series of the same name, allows kids to go on a galactic journey with Jet and his friends and learn about planets, stars and constellations. PBS LearningMedia makes it easy for teachers to integrate Hispanic Heritage Month into their lessons with a trove of curriculum-aligned videos, activities, and interactive resources. Teachers can use this content to help students deepen their awareness of Hispanic American and Latino artists, educators, icons, and everyday people while also building a foundational understanding of the Spanish language. Featured resources in PBS LearningMedia include, All About the Holidays: Hispanic Heritage Month, America By the Numbers, Latino Americans, The Supplemental Spanish Collection; and on iTunes, the Beginning Spanish iBook. Later this fall, teachers will also be able to access new lesson plans based on Hamilton’s America. Visit pbslearningmedia.org to explore more. Maria Hinojosa hosts this 2016 election special about power and politics, demographics and democracy, showing how Asian-American, black millennial, Arab-American and Latino evangelical voters are exerting their growing strength and influence. Premiered Tuesday, September 6. The full program can be viewed here. The program presents four artists creating works that engage with the world around us and allow us to see it in new ways. Featured are Damián Ortega, who makes sculptures from ordinary objects; Pedro Reyes, who designs solutions to social problems; Minerva Cuevas, who creates interventions in public space; and feature filmmaker Natalia Almada. Join the country’s highest tribute to Latinos by Latinos. The program includes performances and appearances by celebrated Hispanic artists. Honorees include Supreme Court Justice Sonia Sotomayor, Pulitzer Prize-winning author Junot Díaz, actress/singer Angelica Maria, Latin music’s breakout new superstar J Balvin and more. Meet the charismatic pioneering activist whose rallying cry of “su voto es su voz” (your vote is your voice) started a grassroots movement that transformed the nation’s political landscape and paved the way for the growing power of the Latino vote. The annual debutante ball in Laredo, Texas, lasts an entire month and coincides with George Washington’s birthday. In 1939, the Society of Martha Washington was founded to usher each year’s debutantes (called “Marthas”) into proper society. The centerpiece of the festivities is the Martha Washington Pageant and Ball, when the girls are presented. The Washington celebration has persevered, and even flourished, thanks in large part to the Mexican-American girls who carry this gilded tradition on their young shoulders. Explore the case of Mexican-American women who claim they were coercively sterilized at a Los Angeles hospital in the late 1960s and 1970s. Meet the mothers, young Chicana lawyers and whistle-blowing doctors who exposed the shocking practice. Join narrator Benjamin Bratt for a documentary series that chronicles the rich and varied history of Latinos, who have for the past 500-plus years helped shape what is today the United States and have become the country’s largest minority group. Survey the history and people from 1565-1880, as the first Spanish explorers enter North America, the U.S. expands into territories in the Southwest and as the Mexican-American War strips Mexico of half its territories by 1848. Trace the World War II years and those that follow, as Latino Americans serve their new country by the hundreds of thousands — yet still face discrimination and a fight for civil rights in the United States. Witness the creation of the proud “Chicano” identity as labor leaders organize farm workers in California, and as activists push for better education opportunities for Latinos, the inclusion of Latino studies and empowerment in the political process. Examine the past 30 years, as immigration creates a debate over the undocumented that leads to calls for tightened borders and English-only laws. Simultaneously, Latino influence is booming in business, sports, media, politics and entertainment. Explore the mysterious true story of Loreta Velasquez, a Cuban immigrant who was one of the estimated 1,000 women who secretly served as soldiers during the Civil War. Why has her story been erased from the history books? VOCES, PBS’ signature Latino arts and culture documentary showcase, is the only ongoing national television series devoted to exploring and celebrating the rich diversity of the Latino cultural experience. In 1955, Elizabeth Taylor, Rock Hudson, James Dean and a massive crew descended on the Texas town of Marfa to begin production on Giant. Now, decades later, “Children of Giant” explores the film’s still timely examination of racial prejudice. Explore the ups and downs of being a Latina actress in Hollywood through the lives of the five dynamic women who dub “Desperate Housewives” into Spanish for American audiences. Meet renowned Mexican poet Javier Sicilia, who ignited an international movement for peace after the brutal murder of his 24 year-old son — collateral damage in a drug war that has left more than 70,000 dead since 2006.